产品描述：Front side with light sensitive indicator light. Wide compatible USB output, with dust-proof plug. 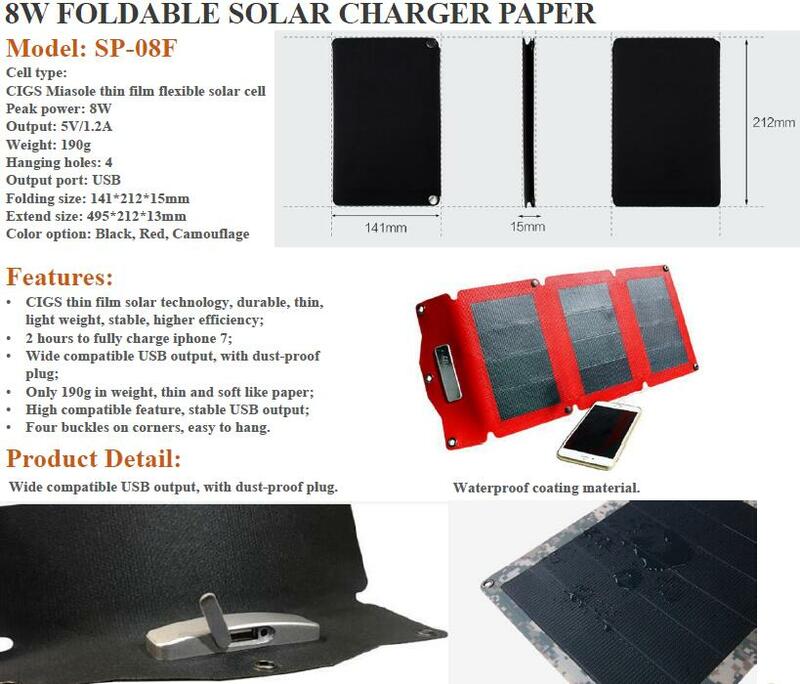 CIGS thin film solar technology, durable, thin, light weight, stable, higher efficiency 2 hours to fully charge iphone 7. Unique encapsulation technology, adopting precised waterproof coating cloth on surface of thin film solar cell. Making the whole power paper more smooth and durable.